Many are wary of public healthcare and especially healthcare offered in foreign countries, but Spain has an excellent system that not only compares favourably with the British NHS system but provides better and more up-to-date facilities and equipment than Britain, despite, according to the World Bank, Britain spends a greater % of GDP per capita on healthcare than Spain. It is also important to note that the National Healthcare Service in Spain does not cover dental care. So if you feel that you need to cover this type of care you will have to look to private insurance cover. Be aware that although the system covers the whole of Spain, you will have to attend a facility in your area as designated by the system. You will not be able to pick and choose which facility you prefer. Who is entitled to National Healthcare in Spain? Residents of Spain: If you are a resident of Spain (regardless of nationality) and you make regular Social Security contributions than you and your immediate family members are entitled to access Spain’s National Health Service. You can be either employed, self-employed or retired and on a pension. However, there is a big ‘but’, If you are still registered on a national healthcare system in a country outside Spain you must de-register before applying to Spain’s National Healthcare Service. That said, and again, as is the case in any country, Private Healthcare is a better choice if you can afford it, and many take private health insurance in Spain. To benefit from the excellent Spanish healthcare system you will need to register and be prepared to pay the Social Security contributions according to your income or employment status. Who is NOT Eligible for National Healthcare in Spain? Spain like Britain has experienced the problem of EU citizens taking advantage of its Healthcare system and as a result, has put provisos in place as well as the requirement for expats before they can access the system. Expats who are below retirement age and who are not employed in Spain and who have not registered. Anyone who has not followed the required procedures. Anyone who has not obtained a SIP card. Anyone who has not de-registered from the healthcare system in their home country. 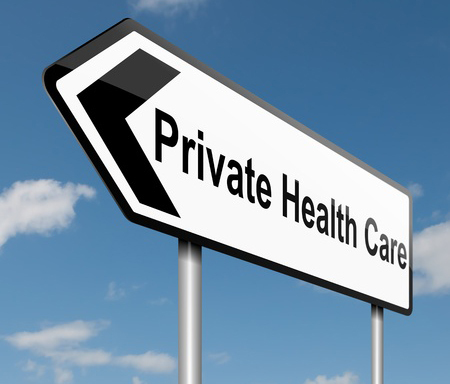 Private Healthcare Insurance in Spain for the local market is not as expensive as the same insurance in Britain, but your choice of health care hospitals will quite naturally be restricted to the private medical domain. If you are not yet in Spain but planning to move there soon, it is a good idea to arrange for healthcare cover before you move, you can do this through a company regulated by the Financial Services authority as these companies are likely to be more accommodating should any payment dispute arise. Single-company brokers are the norm in Spain. Single-company brokers are no more than agents selling a single company’s products so you will not be given the best overall product on offer. You need to find a broker who is able to find a competitively priced product suited to your needs, in other words, a broker who has the ability to check multiple company products. If you decide to rely on a broker be sure to ascertain what their commission is and before you buy check online directly with the insurance company to ensure that the commission added is not too high. You are referred to as the ‘subject’ (el subdito) on a policy. As the receiver of a payment, you are termed the ‘beneficiary’ (beneficiario). Adeslas – Insures approximately one-third of the privately insured population in Spain. The company covers a number of national hospitals and clinics throughout the country and provides high-quality health insurance products with options of basic medical services and/or specialist services including the dental cover, within Spain. Aresa – This private health insurance company specialises in meeting the needs of expat residents in Spain. This insurer has its own medical services centres in many of the main centres in Spain. Asefa – Another leading Spanish Private health care insurer that offers various products specific to the needs of ex-pats resident in Spain. The have one of the best rates for health insurance among the different insurance companies. Unfortunately, the website is in Spanish so basic Spanish is necessary to navigate its pages. ASSSA – a health insurer based in Spain that boasts of 80 years experience in health insurance and offers products aimed at the expat resident in Spain. Its boasts multilingual staff at both its head office and branches throughout Spain. AXA – a Multinational very reputable company that offers Global Insurance cover. Also Travel Insurance. In Spain AXA enjoys a large portion of the private healthcare market and has in excess of 1200 employees and therefore a very strong distribution network. BUPA International – a provider of Health Insurance specific to the needs of Expat residents of Spain. It is also an excellent option for those who spend time in both Spain and their home country. It offers individual and group policies to cover both Spain and the home country of the policyholder. Fiat C – A Spanish insurer based in Spain – they also offer the benefit of a health club which is included in their health insurance. They state that they have a third of the privately insured Spanish population as their clients. And that they guarantee that if you use their nominated facilities you will not be faced with additional costs. However, the website is in Spanish with a rather confused English translation. Sanitas – This health insurer is the sister company of BUPA. It offers cover in Spain the UK and globally. Policies for residents of Spain can be as low was €30. Cover for Spain. AEGON – an international Insurance company originating in Denmark has combined with Santander bank to offer health insurance in Spain. To access their policies you go through Santander bank. Caser Seguros – Has more than 70 years’ experience in the Spanish Insurance market including Travel, health and dental cover. They offer discounted rates on personal policies and have a very comprehensive website that offers translation into English which is clear and understandable. DKV (DKV Seguros) – Based in Spain, This International company has an English website and offers a number of health insurance products. It has branches throughout Spain which makes face-to-face discussions easy. The website has a choice of languages including English. MAPFRE Asistencia - A large and reputable International Insurer, however, its Websites are not encouraging – there is virtually no information available in English. If you have some knowledge of Spanish then you might find what you are looking for. They offer Personal Insurance products. Costa Blanca is one of the most accessible places with in Spain, Alicante airport is the main gateway to the region with many flights from all over Europe. Torrevieja is south of Alicante airport and is around 45 minutes by road and just 20 minutes from Murcia, while Moraira in the north is around 60 minutes from Alicante airport and 80 minutes from Valencia. 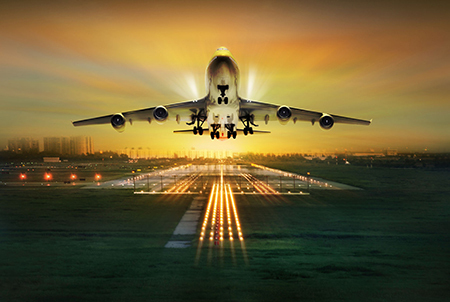 Each airport is served by a variety of airlines from the UK, including one or more of the following: British Airways, EasyJet, Flybe, Monarch, Ryanair, Thomas Cook and Thompson. When you arrive here on the Costa Blanca, not having your own car wont be a problem if you are based in a holiday resort. There are shuttle services or taxis that will take you from the airport to the most popular areas, while local bus services operate between all towns and villages, with Alicante being the transport hub for the whole region. As well as taxis, local bus services also operate in many holiday resorts, stopping regularly in residential areas, offering a convenient and cheap way to get to local amenities, beaches and attractions. This is a popular way of getting around on the Orihuela Costa, around resorts such as, Cabo Roig, Playa Flamenca, La Zenia, Torrevieja and Villamartin where the bus will take you to the new shopping centre of La Zenia, Fares should be no more than a couple of Euro. Timetables are available from tourist information offices.